Have you experiencing the troubles while you trying to send more than 16MB of videos to your contacts? 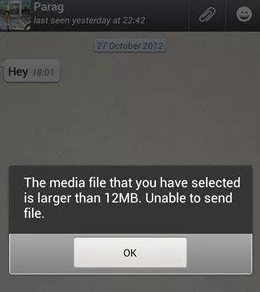 As you known that Whatsapp has file size limit 16MB i.e., you can only send images, music, videos of its limit size. It means that if you will try to send video files to your contact, then you get error alert on your Smartphone screen. Don’t be panics; it is possible to send large files on Whatsapp with easy solution. In this tutorial, you will read the guideline about how to send 150 MB video on Whatsapp for Android Phone, iphone and more. 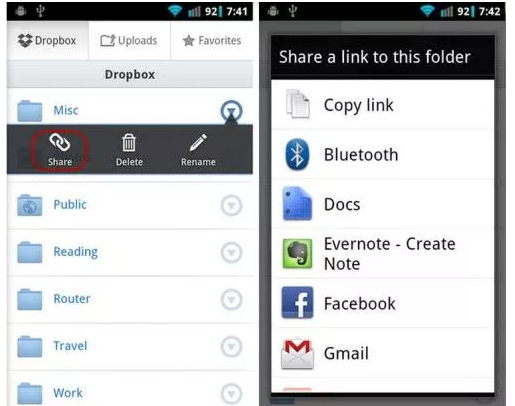 Step 6: person will able to download the file to their own phone or computer, when the link is opened. I hope this tutorial helped you to send 5 minutes video Whatsapp or more size of videos to your contacts on Whatsapp. So, it is very easy to delivers more than 16MB of data or upto 150 MB data to the receipts. If you have any suggestions or queries, then you must write on the comment box given below.